One young CEO continues to implement practical ways to tackle the Bahamas’ unemployment rate and make for better employees in the process. Donavon Powell started 242jobs.com with the goal of connecting thousands of jobseekers with employers. To date, more than 30,000 people have utilized this website, and more than half of them have registered profiles, which allow prospective employers to pursue the files and find the best persons suited for the available jobs. Hundreds of Bahamians have landed jobs through the use of 242jobs.com. But Mr. Powell wanted to do more, noting the importance of job seekers being properly equipped to perform on the job. During the month of July, 242 Jobs offered $1 professional headshots to its subscribers and to the general public. Too often, persons were uploading headshots that were not up to professional standards. For just $1, job hunters were able to have a professional headshot taken that would make a big difference in the overall presentation of their applications. In addition to the professional headshots campaign, 242Jobs organized a clothing drive called “Dress for Success” to provide job seekers with appropriate interview attire. Mr. Powell made it a point to contact employers to find out how successful applicants were in presenting themselves, once they had successfully landed an interview through the website. He discovered that many employers were dissatisfied with the appearance of some of the applicants. For this reason, 242Jobs teamed up with the Salvation Army to conduct a clothing drive that successfully garnered scores and scores of business attire for job seekers. Members of the public with professional clothing that were new or gently used were encouraged to take them in to the Salvation Army on behalf of 242Jobs. Job seekers were able to go to the Salvation Army and collect one or two outfits, based on their need, once they had documentation from the website, authorizing them to receive the articles of clothing, free of charge. Through this effort led by Brittany Stubbs and Therese Sturrup of 242Jobs, many job seekers were able to wear a suit or other professional business attire for their interviews. Persons who donated worthy business attire were entered into a raffle, where the winners received gift certificates from Solomon’s Super Center, Kelly’s Home Center, Menchee’s Frozen Yogurt; Popeye’s; Marco’s, and phone vouchers. 242Jobs is now working with local constituency offices to give hope to job seekers in the various constituencies. The company is installing a computer in constituency offices. The computer can be used for preparing resumes and for signing up to 242jobs.com to ensure that they are given an opportunity to peruse available jobs and apply for them. The first constituency will benefit on July 30; 242 Jobs will install the first computer at the South Beach Constituency office with the authorization of its Member of Parliament, Mr. Jeffrey Lloyd. Meanwhile on July 31, Mr. Powell will have the opportunity to address a South Beach constituency town meeting and announce the initiative. On September 22, 242jobs will host a job readiness fair with the goal of further preparing prospective employees for the next big step in their careers. The Bahamas Society For Human Resource Management (BSHRM) will assist the company in presenting talks and empowerment sessions to train and guide persons into landing the job. Sessions will include resume preparation, deportment and presentation for the interview and more. 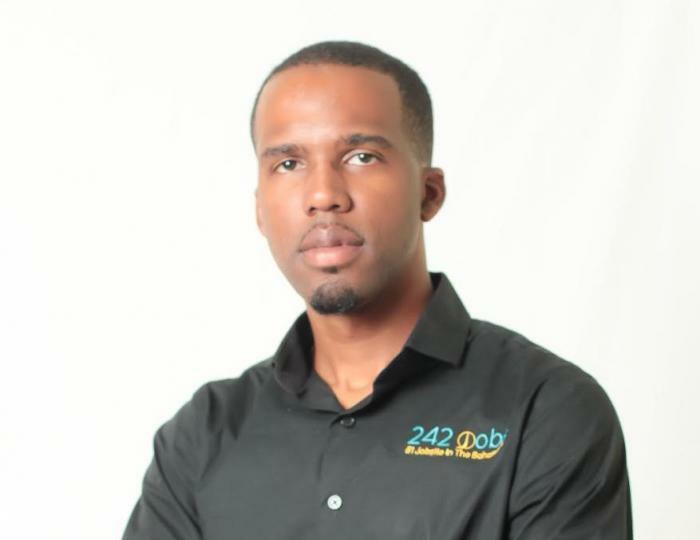 Mr. Powell was recently selected as a recipient of the “40 Under 40 Most Influential and Successful Professionals in The Bahamas” award, hosted by Professional Services Bahamas. The awards will be presented at a special Awards Reception and Corporate Mixer on September 1 at Sapodilla Restaurant. The award is given to “young professionals making exceptional strides before their 40th birthday”, calling them the “next wave of leaders who will guide our country and its communities towards the future”.